Author’s note: I take medication everyday to battle anxiety and depression. I’m not ashamed of it. I receive help. But I didn’t for most of my life — and I suffered for it. My unsolicited advice for those dealing with mental illness: talk about it. And make informed, thoughtful decisions that help you heal. Part of our Thrival Innovation programming this year will focus on a pressing topic that deserves attention: mental health. Over the years, Thrival Innovation has hosted a number of brilliant thought leaders in the areas of neuroscience and brain science — in an attempt to simply offer additional context and depth to conversations around mental health topics. Yet, something has been missing from our side of things — an element of openness about the importance of mental well-being, but the pervasiveness and consequence of mental illness in all aspects of American society. To emphasize — it’s OK to talk about it. The elephant in the room. The 400-pound gorilla. Or whatever anthropomorphic analogy you want to use. By “it,” I mean mental illness. But what about having a rough day? Or week? Or month? Or just ‘not feeling like yourself’? These numbers are higher. Almost 18% of American adults — or nearly 43 million — deal with less debilitating mental illness each year. Any way we slice it, millions and millions of people deal with mental illness in their daily lives or at some point in their lives. By extension, it affects all of us. And while many of us are able to live our lives with varying degrees of normalcy, another staggering statistic deserves mention: 90% of individuals who die by suicide experience mental illness. Particularly within the music community, suicide is very much a reality. Most recently, the tragic loss of Linkin Park frontman, Chester Bennington, as well as Soundgarden lead singer, Chris Cornell, to suicide, once again raises the relevance of this conversation in our national discourse — with respect to the complexity of each individual circumstance. Kiiara, who will play at Thrival Music this year, had this to say about the passing of Bennington and their friendship. Thrival Music headliner, Logic, has reportedly encouraged an increase in calls to the National Suicide Prevention Lifeline through his track “1-800-273-8255” off his most recent album, Everybody. These statements are important. They unapologetically speak to an issue that deserves our attention and our resources. Moreover, both Kiiara and Logic use their substantially large platform to do something positive with far-reaching impact for others, a practice that seems to be increasingly rare in the industry. However, it shouldn’t have to take famous musicians broaching the topic to make us feel like we can discuss mental illness without a stigma attached to it. A chorus of voices are necessary to explore this subject with the appropriate depth and range. 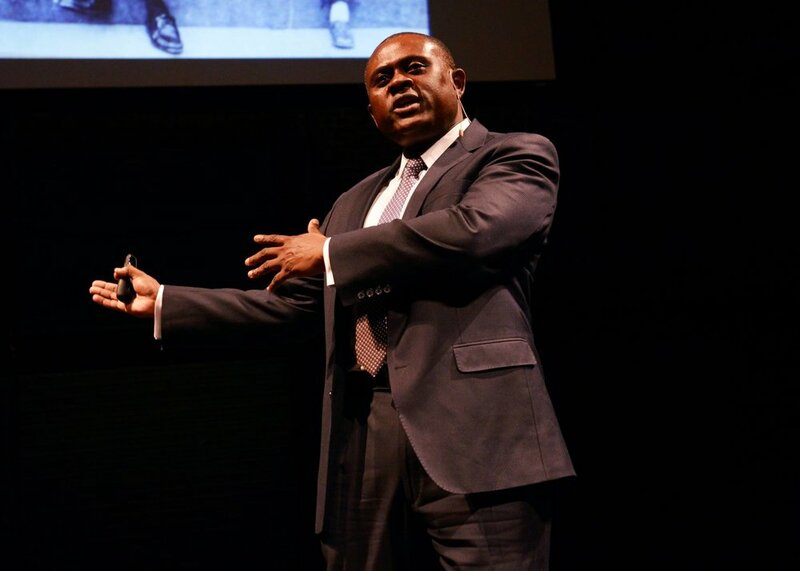 In 2016, Dr. Bennet Omalu, discoverer of chronic traumatic encephalopathy (otherwise known as CTE), spoke at Thrival Innovation — emphasizing the significance of mental illness in our society, and the need to have courage and conviction when confronting these issues, even if one’s position is unpopular or threatening to the status quo. In Dr. Omalu’s famous confrontation with the NFL, chronicled in the feature film Concussion, many of us have explored in more detail the tragic stories of professional athletes taking their own lives and the study of potential links between CTE, mental illness, and suicide. Just this week, the New York Times published a deep dive into CTE research, coming to some brutal, but also not so surprising conclusions. This year, Thrival Innovation will expand our scope into mental health, mental illness, and entrepreneurship — in an attempt the examine the psychological toll associated with high stress environments and daily challenges confronting startup teams. Suicide is significant among these concerns. Research conducted at the University of California notes that instances of mental illness are relatively high in entrepreneurs, and the daily stress that comes with growing a company can have a significant impact on one’s mental health. It’s also particularly important to sideline terms such as “touched with fire” or the generic “mad scientist” designation when describing the psychological conditions of entrepreneurs. These colloquialisms can soften or even delegitimize a very legitimate issue by conflating the startup grind with some sort of fringe mentality. Mental health — and its effect on all aspects of society — deserves respect. With Thrival, we’re attempting to make our contribution and to do what we can in our own limited way to expand the conversation. But we hope that regardless of whether you come to Thrival Music or participate in Thrival Innovation programming, you feel encouraged and empowered to talk about mental illness and mental health, and if you’re suffering, find the people and resources that can help. For more information and additional research on mental illness, visit the National Institute of Mental Health website, HERE. If you are having, or have had, suicidal thoughts, call the National Suicide Prevention Lifeline at 1-800-273-8255 or visit the website, HERE.